A complete logging, analytics and notification system that will easily bolt on to your next software project. Hosted, real-time and easy to use. One of our goals is to make application monitoring non-technical. Sure, you’ll need some technical chops to implement a logging solution, but consuming those events has to be easy. 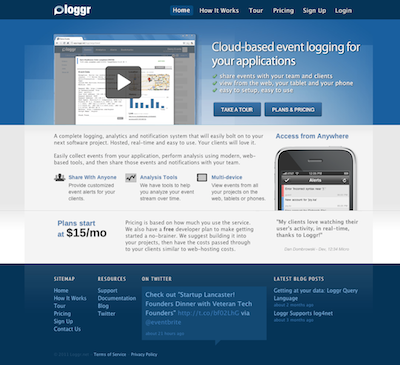 Easy enough for your client to be able to log in and see how the site you just built is performing. Even after you’ve moved on to your next project.